Belgrade Nikola Tesla Airport (Serbian: Аеродром Београд – Никола Тесла / Aerodrom Beograd – Nikola Tesla) (IATA:BEG, ICAO: LYBE) is the primary international airport serving Belgrade, Serbia. Previously known as Belgrade International Airport, it was renamed in 2006 in honour of Serbian scientist and inventor Nikola Tesla. This is the busiest airport in former Yugoslavia. The airport is situated 12 km (7.5 mi) west, of central Belgrade, in the Surčin Municipality, surrounded by Syrmia’s fertile lowlands. Passengers on the right hand side of planes descending from the east have a view of downtown Belgrade, especially the districts ofČukarica and Novi Beograd. In 2008 the airport installed ILS CAT IIIb equipment to allow aircraft to land and depart in the heaviest of fog, which in past years led to numerous flight diversions mostly in late December and early January. The national flag carrier and largest airline of Serbia, Air Serbia (former Jat Airways), uses Belgrade Nikola Tesla as their hub, it is also one of the operating bases for low cost airline Wizz Air. Charter airline Aviogenex along with the air taxi services Air Pink, Jat Airways AVIO taxi and Prince Aviation also call the airport their home. The airport is owned and operated by the Public enterprise “Aerodrom Nikola Tesla Beograd”. The airport recorded a net profit of €21.5 million at the end of 2010. As of March 2014, Belgrade Nikola Tesla Airport is the fastest growing major airport in Europe. Aerodrom “Beograd – Nikola Tesla” P.E. Six Aeroput Potez 29/2 biplanes at the old Belgrade-Dojno polje Airportwith the Milanković’s hangar on the right side, 1929. Belgrade’s first international airport (also known as Dojno polje Airport) was opened on 25 March 1927 on the territory of today’s Novi Beograd. 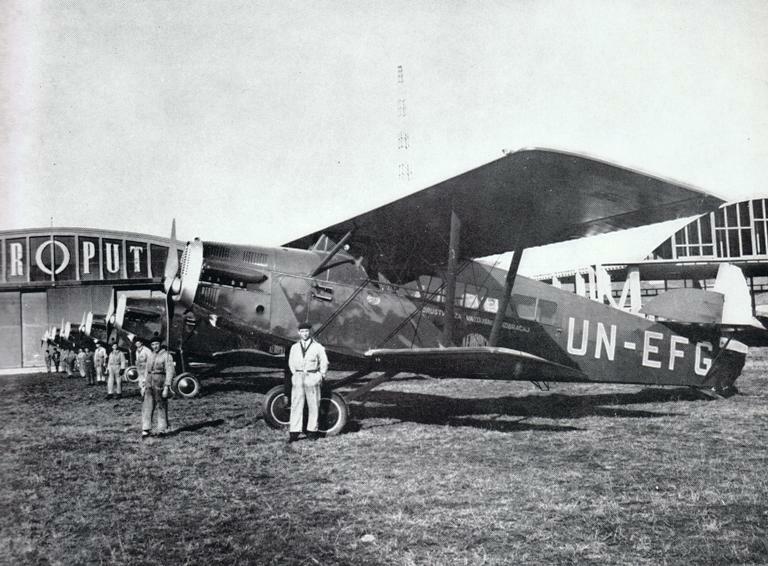 From February 1928, aircraft owned by the first local airline Aeroput started taking off from the new airport. The airport’s landing strip consisted of four grass runways between 1,100 and 2,900 m (3,609 and 9,514 ft) long. The project for reinforced concrete hangar was made by Serbian scientist Milutin Milanković, known more for his theory of climate change. A modern terminalbuilding was built in 1931, and in 1936 poor visibility conditions landing equipment was installed. Besides Aeroput, Air France, Deutsche Luft Hansa, KLM, Imperial Airways and airlines from Italy, Austria, Hungary, Romania andPoland also used the airport until the outbreak of the Second World War. Starting from April 1941 German occupation forces used the airport. During 1944 the Allies bombed it, and in October of same year the German army destroyed the remaining facilities while withdrawing from the country. 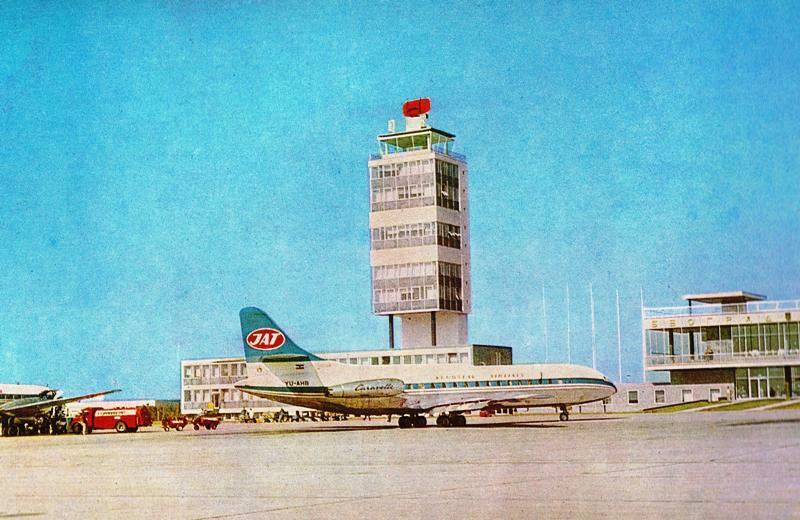 Belgrade Airport in the 1960s and JAT Sud Aviation Caravelle in front of Control Tower. Civil transport by Air Force cargo planes via this airport was renewed at the end of 1945. At the beginning of 1947 JAT Yugoslav Airlines and JUSTA took over domestic and international traffic, and from 1948 Western European airlines started to land in Belgrade again. Constant traffic increase and the appearance of passenger jet planes demanded a significant airport enlargement. In the meantime there was a plan to build a residential and business district called Novi Beograd, where the airport was located. Thus, it was decided that a new international airport should be constructed near the village of Surčin. The last flight to depart from the old airport was at the beginning of 1964. Modernisation project of Belgrade Airport during the 1960s. During the first years of the development of postwar Belgrade, construction of the modern airport became a social and economic priority. Basic studies and engineering research started in 1947, and became part of the 1950 General City Plan. This document defined the future or air traffic and the role of Belgrade’s Airport within the Yugoslav and international air network. The new location for the airport was on the Surčin plateau 12 km (7 mi) from Belgrade’s city center. 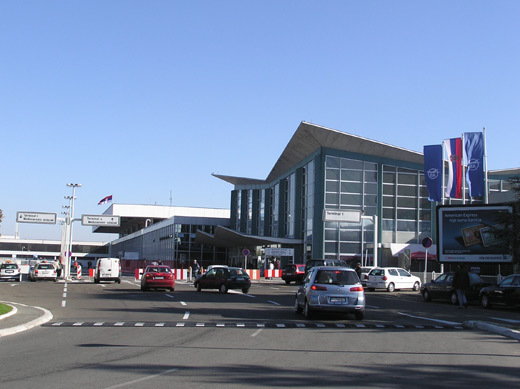 Thanks to the original planners’ vision, two conditions for the airport’s development were fulfilled: a location was chosen which met the navigational, meteorological, construction, technical, and traffic requirements; and the special needs for the airport’s long-term development were established. Experts from the Serbian City Planning Bureau, with the architect Nikola Dobrović at the helm, made the preliminary plans for the new airport. The development and realization of the idea was taken over from 1953 onwards by the Civil Aviation Department (later Federal Department for Civil Aviation) whose experts, with engineer Miloš Lukić as team leader, finished the general airport plan for one runway, appropriate taxiways, and a terminal complex in 1957. Building of the new airport started in April 1958 and lasted until 28 April 1962, when it was officially opened by President Josip Broz Tito. During that period a 3,000 m (9,843 ft) long runway was built with the parallel taxiway and concrete aprons for sixteen planes. The passenger terminal building occupied an area of 8,000 m² (2 acres). 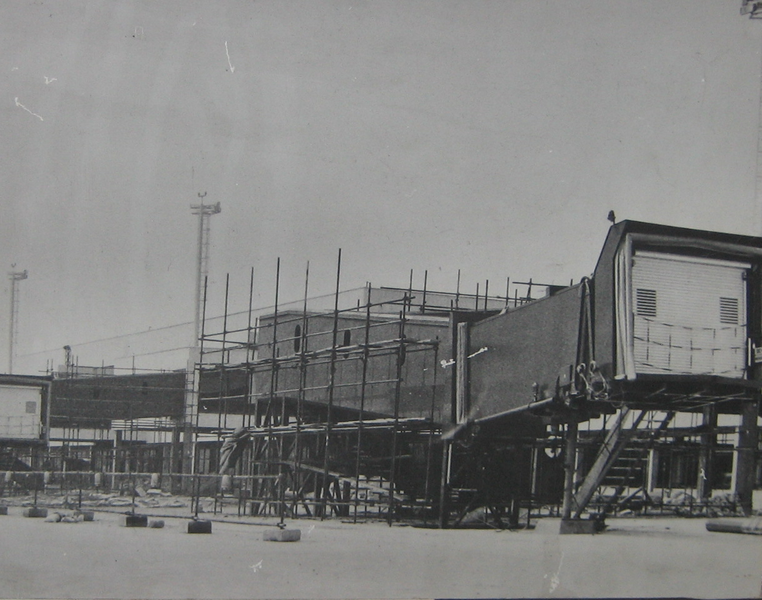 Cargo storage were also built, as well as a technical block with the air traffic control tower and other accompanying facilities. Modern navigational equipment was installed, earning the airport the highest international classification according to theInternational Civil Aviation Organization. 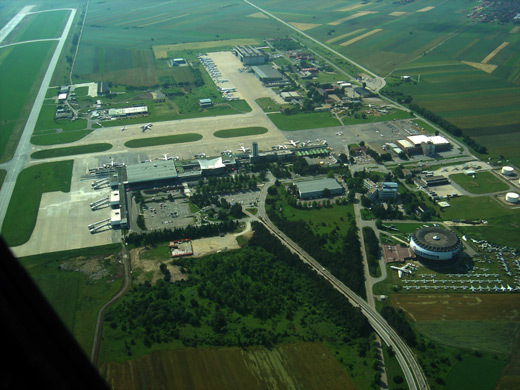 The airport stagnated during the 1990s after the outbreak of the Yugoslav wars and theUnited Nations sanctions imposed on the Federal Republic of Yugoslavia. The sanctions also included a ban on air travel. The airport had minimal passenger movement and many facilities were in need of attention. With a change in government and international sentiment, normal air traffic resumed in 2001. A few years later the airport’s terminal 2 underwent a complete reconstruction. The runway, which is now CAT IIIb, was upgraded in October 2005, as part of a large renovation project. CAT IIIb is the latest runway system giving aircraft the security of landing during fog and storms. A countrywide petition was signed to have the name of the airport changed to Belgrade Nikola Tesla International Airport. Nikola Tesla was a Serbian-American inventor and scientist, generally considered one of the world’s most important electrical engineers. 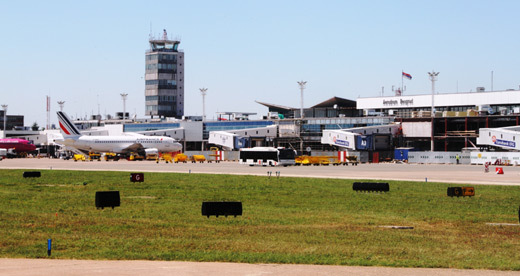 The proposal was accepted by Aerodrom Beograd a.d., the state-owned airport authority, and received approval by the Ministry of Capital Investment, and finally the Serbian Government on 2 February 2006. On 10 July 2006, to mark the 150th anniversary of the birth scientist Nikola Tesla, a monument was erected near Terminal 1. The monument is 3.10 m (10 ft 2 in) high and weighs 1,000 kg (2,205 lb). In August 2007, the airport management announced that within the next 4 years Terminal 2 gates will be expanded as well as parking spaces for aircraft. Terminal 1 and 2 would be connected as well. The construction of the new airport control center was completed in 2010. In February 2011 Belgrade Nikola Tesla Airport shares began trading on the Belgrade Stock Exchange. 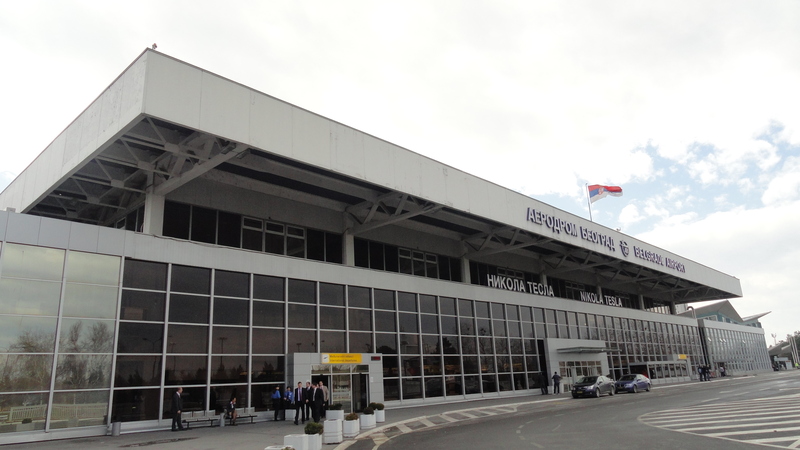 In February 2012 construction work on the modernization and expansion of Belgrade Nikola Tesla Airport began. During the summer of 2012 work was carried out on the expansion and reconstruction of the A gate departure lounges and transit areas. Work on the C gate area began in the summer of 2012. As a result, an extra 2.750 square meters will be added. Air bridges at the A gates are also to be replaced. An additional new floor stretching over 4.900 square meters will be built above the current terminal two building with construction to begin next year so as to separate arriving and departing passengers. Overall, it was announced that by 2015, over €53 million will be invested into the airport. During 2012 work was completed on the expansion of the terminal two security and passport control area. New x-ray and body scanner machines were added to cut waiting time, with Belgrade becoming the first airport in the former Yugoslavia to use specialized shoe scanners. The Air Traffic Services Agency has announced that it will finance the construction of a new control tower at Belgrade Nikola Tesla Airport. Construction will begin in 2013 and is set to be completed by 2014. According to the agency, the land on which the tower will be built has been selected and work on the project design is now in progress. The new tower will stand at 52 metres tall. The current air control tower was built back in 1962. The management also announced that it plans to start construction of a 4,000 m (13,124 ft) long second runway. 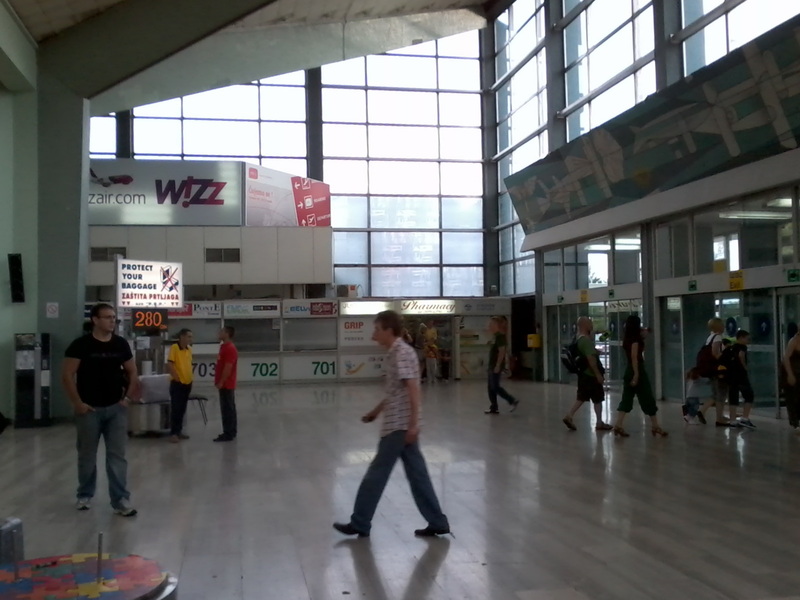 Belgrade Nikola Tesla Airport has two terminals, with a reconstructed Terminal 2 opened since 14 May 2006. Terminal 1 (T1) was the original and the only terminal when the airport was opened. The terminal handled domestic flights during the SFR Yugoslavia. Since the dissolution of the Union of Serbia and Montenegro in 2006, the gates of the terminal have been used for international flights by both international and domestic carriers. From 1 January 2010, Terminal 1 is fully operational and used mostly by low cost and charter airlines. Terminals 1 and 2 are located next to each other and are connected through a hallway. T1 has restaurants “Aviator” and “Boeing”, the “Business Club Lounge” and shops. The terminal went through a major renovation in the 1980s when air bridges were added to connect passengers to the aircraft. Minor renovations were done in 2002. Terminal 2 (T2) was constructed in 1979 for the airport’s growing passenger numbers. 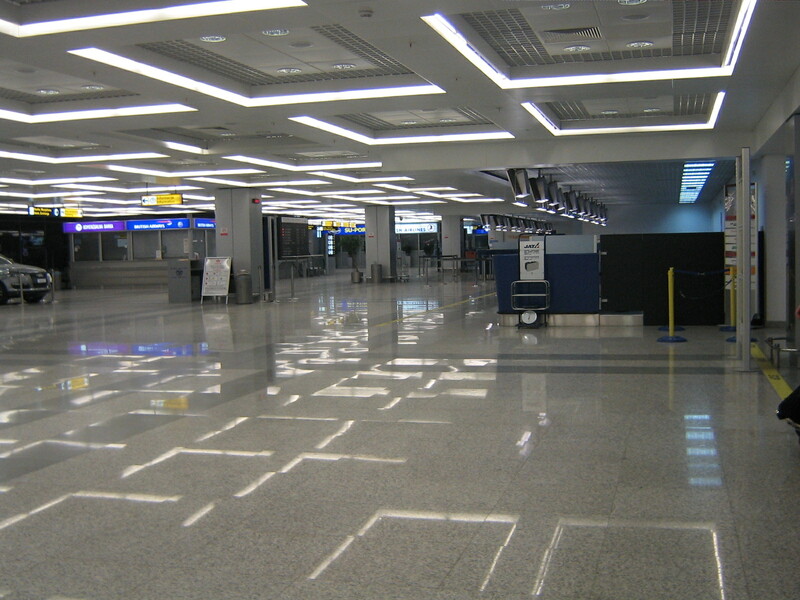 After two years of reconstruction, T2 reopened in May 2006 with 33 check in desks. The terminal has a capacity of 5 million passengers. The arrivals and departures areas of the terminal were completely reconstructed. The terminal contains airline offices, transfer desks and various retail shops. In 2012, construction work on the expansion and overhaul of the C platform (T2 gates) began. The expansion will cater for the growing number of passengers passing through the airport. The airport also announced to increase parking space for some gates in order to make room for larger long-haul planes. The airport has 27 gates of which 16 are equipped with air-bridges. ^1 Qatar Airways’ flights between Doha and Belgrade are operated with a technical stop in Ankara, Turkey. However, Qatar Airways does not have fifth freedom traffic rights between Belgrade and Ankara. The map includes destinations in Europe and parts of North Africa and Middle East served from Belgrade Airport. In 2007 the airport followed the example of the EU and introduced security measures which limit the amount of liquids allowed to be carried on board the aircraft. In April 2007 the airport also introduced the latest technology for explosive and narcotic detection. These units are implemented at the airport itself, as well as at the customs and border checkpoints and other facilities and locations of security interest. Each international passenger must pass security and passport control before entering the departure lounge. Passengers are again screened and carry on luggage is scanned at the gate, prior to entering the aircraft. Belgrade Nikola Tesla Airport has a Rescue and Fire Service, which in 2007 received internationally recognized certificates. All members of the fire service unit underwent training at the UK International Fire Training Centre run by Serco. This has led to praise by the IATA and ICAO organisations. Since 2003 airport security has been further increased. The airport relies on the Serbian Police and Serbian anti-terrorist units for patrolling the airport. In August 2007 the airport prohibited cars parking next to the airport terminal, instead they have to use the car park provided, as a result of the 2007 Glasgow International Airport attack. All parked cars in restricted zones will be towed away and the owners will receive a fine. In late 2007 the airport received technology from Israel which provides the ability to monitor the 20 kmradius around the airport. In 2012 Belgrade Airport introduced foot scans and installed additional x-ray machines to cut waiting time and further improve security procedures. Belgrade Airport offers a single business class lounge, “Business Club”, for all airlines operating from the airport. “Business Club”, opened in December 2011, replaced the older lounge which has been closed since. The new business lounge covers an area of 250 m², and seats 30 guests. Free drinks and a buffet are offered to guests. The lounge also includes a business area as well as restrooms. All passengers flying business class (except Lufthansa business class passengers) as well as status passengers on a flight from Belgrade may use the lounge. It is located in the transit area next to gates A4-A5. Nikola Tesla Airport also has a VIP lounge, with separate check-in and passport control facilities- also used by General Aviation customers, which was built during the 2004-2006 terminal 2 reconstruction. The lounge consists of three parts – the first part for leisure, second for television crew and press conferences and a third part is a presidential suite. The lounge has a total surface area of 500 m². The lounge is also used as a press centre upon the arrival of VIPs. Belgrade Airport is connected to the Belgrade–Šid highway (E-70) via a nearby interchange. There are car rental agencies in the Arrivals Hall. Belgrade Nikola Tesla Airport was awarded the “Euro Annie award for the airport that has attracted the most new airlines during the 12-month period analysed (August 2010 v August 2009)”. by anna.aero. Despite losing Olympic’s service to Athens, the airport attracted 10 ‘new’ carriers, at least compared with the previous year, making a net gain of nine carriers. The interest in the Serbian market and its largest airport can be presumed to be linked to the fact that Serbian nationals no longer need visas to travel to the Schengen Area, which is formed of the majority of European states. In March 2013 Belgrade Nikola Tesla Airport was voted 7th best airport in the world according to a passenger survey conducted by eDreams.